Norwegian announced launch of new routes from capital of Poland, Warsaw. Popular low cost company which also operates long-distance flights to USA and Thailand adds further competition to already very crowded market at Warsaw airport. The prices for these new destinations available from Warsaw start at 149 PLN (~37€) for one way flight to London or 199 PLN (€50) for one way flight to Canary Islands. Connection to London will be operated 6 times a week while flights to Canaries will take place once per week. Norwegian includes 10 kg cabin luggage in the basic price, you can purchase extra luggage for additional fee. This company was also one of the first to offer free WiFi onboard their modern planes which is very popular to this day. 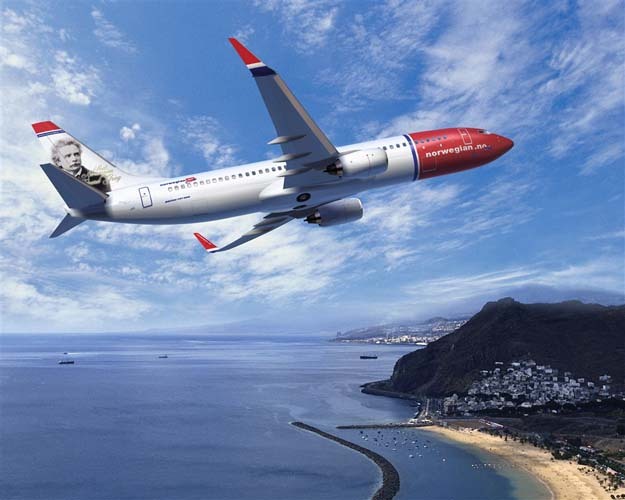 New routes are already bookable at the official website of Norwegian. « Cheap flights to Tokyo for only €409!